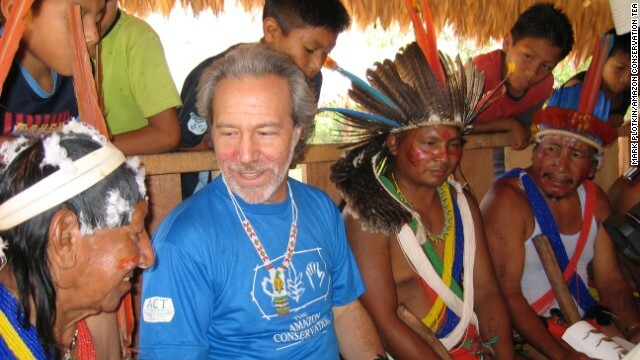 Editor’s note: Dr. Mark Plotkin is president of Amazon Conservation Team, a nonprofit organization that partners with indigenous people of South America to preserve their cultures and protect the Amazon rainforests. This is one in a series of columns CNN Opinion is publishing in association with the Skoll World Forum on people who are finding new ways to help solve the world’s biggest problems. 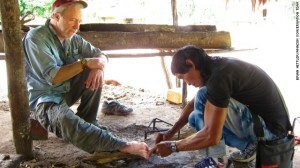 “What’s wrong with your foot?” asked the medicine man as I ducked into his grass hut to escape the tropical downpour. He could see that I walked with a slight limp. Like many an aging athlete, I had injured myself while training for a hike. I knew I had to condition myself to be able to walk 50 miles carrying a backpack at 9,000 feet. So strenuous was the training that I hurt my foot and had to hobble into the offices of physicians, orthopedists and chiropractors — in short, anyone who might heal my affliction. I tried massage, ice packs, heating pads and whirlpool baths. I took aspirin, ibuprofen, anti-inflammatories, prescription pain pills and a cortisone injection in search of relief. The pain was reduced to the point where it became bearable, and I completed the hike. But I felt my injury every step of the way.